In my very humble opinion, the documentary film “How to make a book with Steidl” is somewhat of a misnomer because the viewer is no more clued in at the end of the film on how best to approach Stiedl in order to publish one’s photo book. Instead we are taken on a whirlwind journey into Steidl’s world of producing photo books for photographers that are already famous. Along the way, we learn how, by Steidl’s own admission, he “throws out the window” money he has made from other commercial projects even when the photo books he chooses to publish are by these big name photographers. Still, the film is worth watching for two reasons which I will talk more about in a bit. These are the same two reasons that may make you think twice before you embark on your own photo book project. Having published a couple of photo books here and there, I will attempt to chip in on a few other considerations as well. 1. Photo books don’t make any money. If anyone would know this, it is Steidl. And if the great Gerhard Steidl doesn’t think he can make any money by publishing photo books, what makes any of us think we can? We live in a society of rising labour costs and book making is extremely labour-intensive. Also, book making is time-consuming and requires highly expensive outlay toward machines that can’t do anything else except print. All these factors add up to high costs which unfortunately cannot be easily passed on to the consumer when it comes to photo books. 2. If you aren’t famous like Martin Parr or Joel Sternfeld, don’t expect to sell many copies of whatever photo book you may be thinking of producing. In this world of short attention spans and smart electronic devices, the market for expensive and large printed books is rapidly shrinking. This is the sad fact of the matter despite how romantic you may feel about the book making process after watching the film. If you are ever in doubt of this, look back at 1. 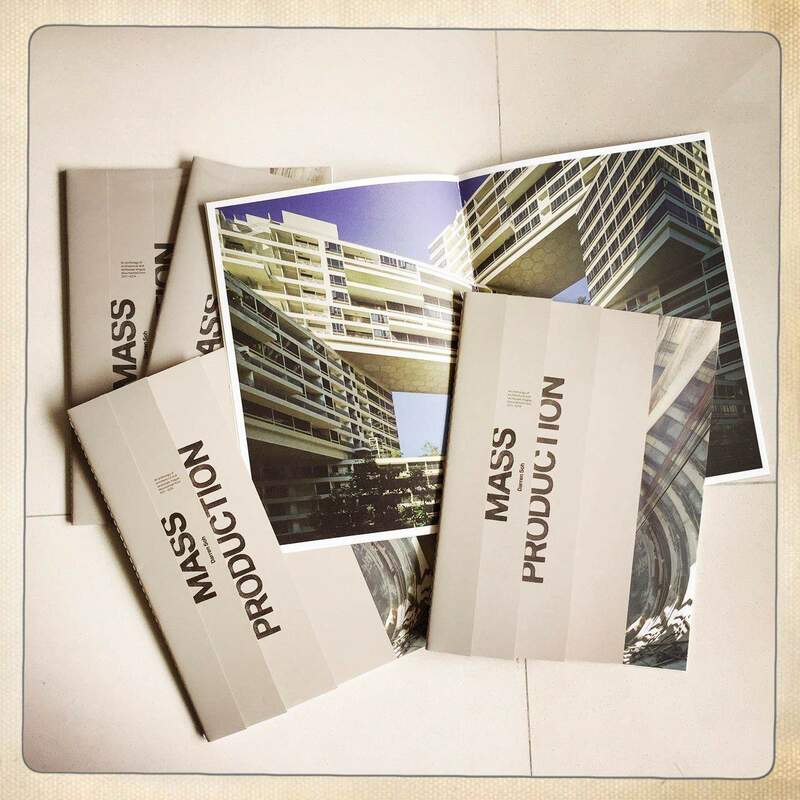 Here are some additional considerations when it comes to making photo books. Most of it is from my own experiences, your experience may vary a little or even substantially, but I think much of it is somewhat relevant. 3. Unless your last name is Rowling, almost nobody gets big fat advances from publishers dying to publish your work in this day and age. This applies especially to photographers because their books are more expensive to make, ship, market, distribute and sell than say Fifty Shades of Grey. As a result, the returns for any publisher are substantially lower for a photo book and if they can help it, they aren’t going to touch it with ten foot pole unless they don’t have to come up with the money. Once again, look back at 1. 4. Instead we are seeing a rise in the “commission” model, and by commission, I don’t mean the photographer gets a commission from the publisher. Instead, publishers shop for customers in the form of writers and photographers who will COMMISSION THEM by way of a lump sum payment to make their book a reality. The fee will include a distribution and marketing deal of course, but this model ensures there is no financial risk borne by the publisher and the photographer gets his or her book out. What does this really mean for you? 5. This means that chances are, whether or not you are going the self-publish route or trying to find a publisher to work with you, YOU are the one that is going to be coughing up the cash to get your book out. If by now you still want to make a photo book, then you have got to start thinking about how to pay for that book you want so much to publish. The most straightforward way is of course to just pay for it out of your own pocket. Depending on how sellable your book is once it is made, you may or may not be saddled with additional costs for storage of unsold books. 6. The other more palatable approach would be to try and mitigate your personal investment by means of applying for book grants, doing print sales as well as bulk and individual pre sales. Take the twentyfifteen.sg project for example. We started with seed money from three donors that enabled us to print the first book, and sold limited edition prints from the book as well as sold enough copies of the first issue to fund the production of the following two books, effectively rolling our cash along. I’m happy to say that it has worked for us and we have sold enough books and prints to cover the costs of printing all twenty twentyfifteen.sg books. But there is no guarantee that every book making endeavour will always have a happy ending. 7. And this brings me to the next point if you STILL want to make your own photo book. Control your costs. Be as creative as possible when it comes to making best use of the infinite permutations of ink, paper and finishing that exist in the book making world. Work with a designer that will take barter trades instead of charging you a commercial fee. There are however certain irrefutable truths in book making. A hardcover book will cost significantly more than a softcover book. A choice of fancy paper can more than double your printing cost. The larger your book, the more expensive it will be. And this increases exponentially! The more books you make, the lower the unit cost per book, but you’ll have more books to sell and potentially pay storage for. And of course, the more books you print the higher your actual costs no matter what the unit costs are. 8. Be prepared to market the book by whatever means possible. Sure, some photographers publish books just to satisfy themselves, but I could never understand that. One of the main reasons for making a photo book must be to share your vision and work with others, and that can’t really happen if they don’t know your book exists, right? These means will include social media, making appearances at book shows, talks and launches. If you are introverted and do not wish to do any of the above, I hope your images are so great that the book will sell itself. At the end of the day, making a photo book is really a career in itself, and I always feel very strongly that if as a photographer, you wish to publish a book, you should really do it to the best of your ability, and perhaps even try to go beyond that with additional help. Because the fact is that it is going to take alot of cash, blood, sweat and tears in order to put that vision of yours into print, and you really do want the print version to be representative of the version in your head don’t you?